Charney is a painter and muralist of abstract pattern works. She received her BFA in painting/drawing from the School of the Art Institute of Chicago and has been living and working in her hometown of Denver since 2016. Charney’s optical paintings and murals are characterized by their expansive compositions, graphic dot patterning and dense detail. 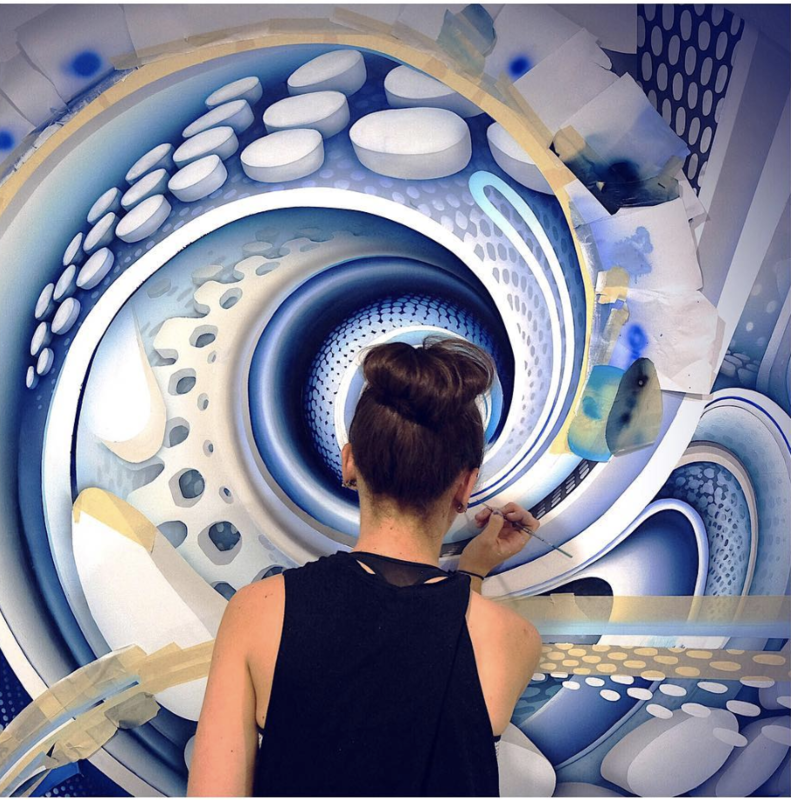 Using acrylic on canvas and aerosol on murals, she describes her illusionistic spaces and bending forms as “digital taffy”.